Come and snorkel with us! 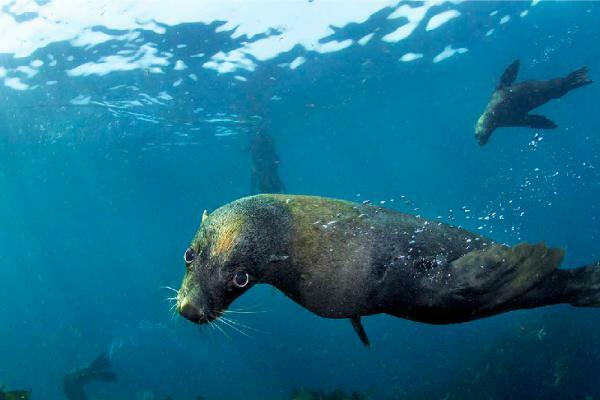 Snorkelling with seals in Cape Town will leave you breathless! 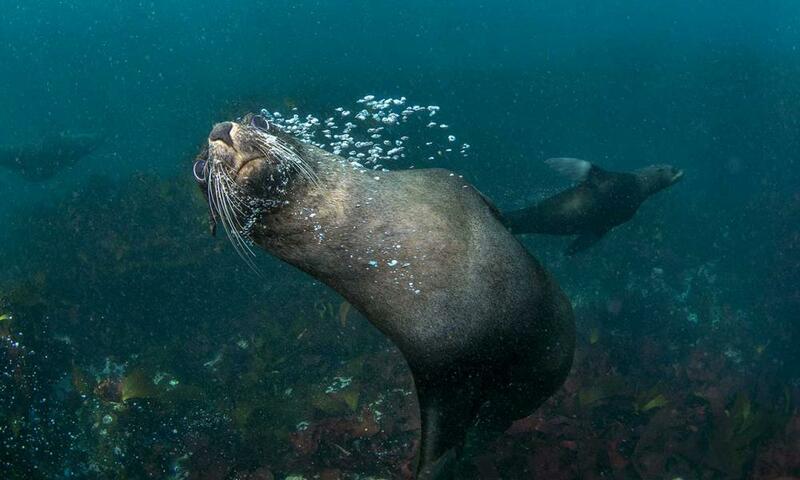 Come and join us for an adrenaline filled day of fun in the sun as we spend some time snorkelling with the Cape Fur Seal in its natural habitat. 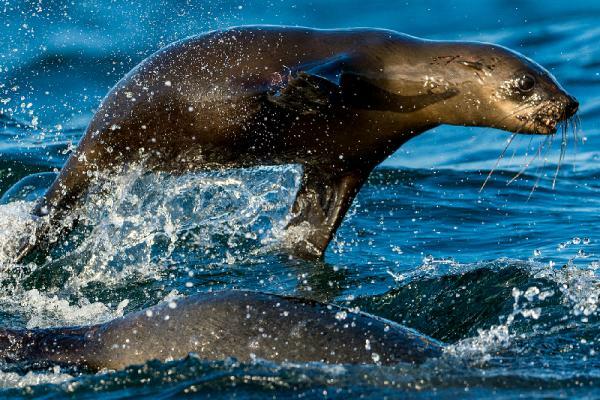 These incredibly agile, curious creatures will have you mesmorized as they dance and play around Duiker Island off the coast of Hout Bay. 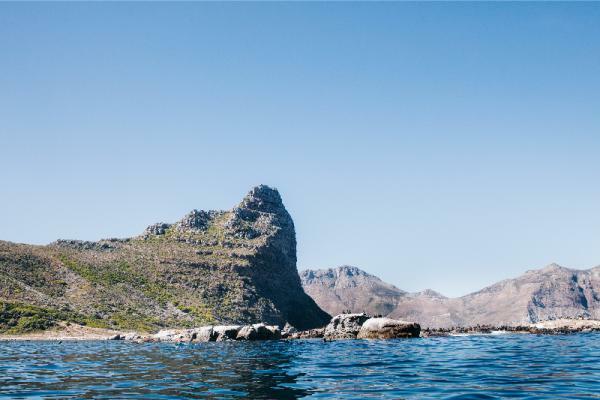 Take in the breath-taking Cape Town sights and sounds as we journey to Seal Island, where all the fun begins. 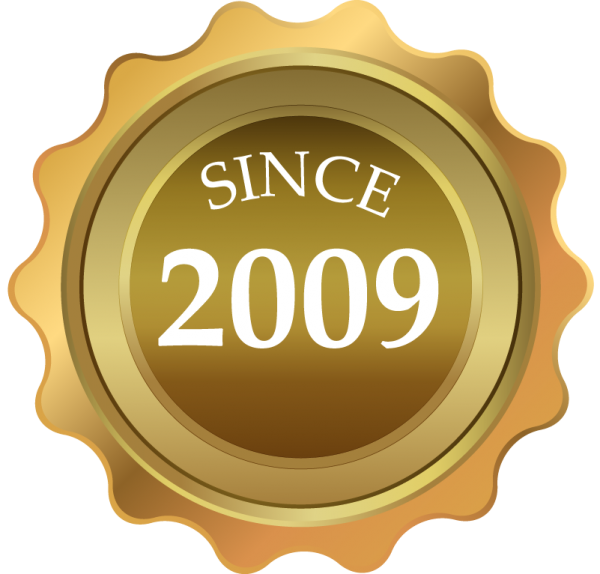 Our expertly trained crew will ensure that you have an awesome time. 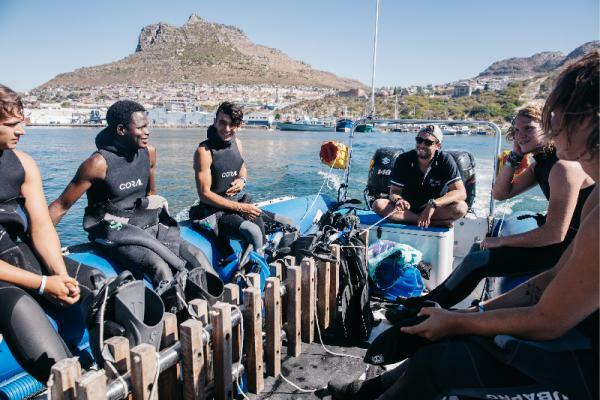 Explore the underwater world of Cape Town, see many different sea creatures, and spend some time snorkelling with the playful, energetic and precocious Cape Fur Seal. Everyone is welcome, no training is required in order for you to enjoy this fun activity. We can provide all the gear you need. That includes top quality wetsuits, fins and other snorkelling equipment. 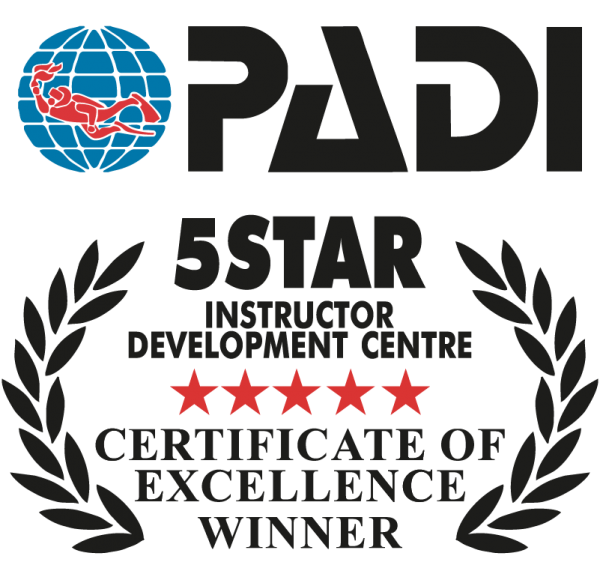 Our crew has years’ experience and have undergone rigorous PADI certified training to ensure top quality safety standards are maintained. 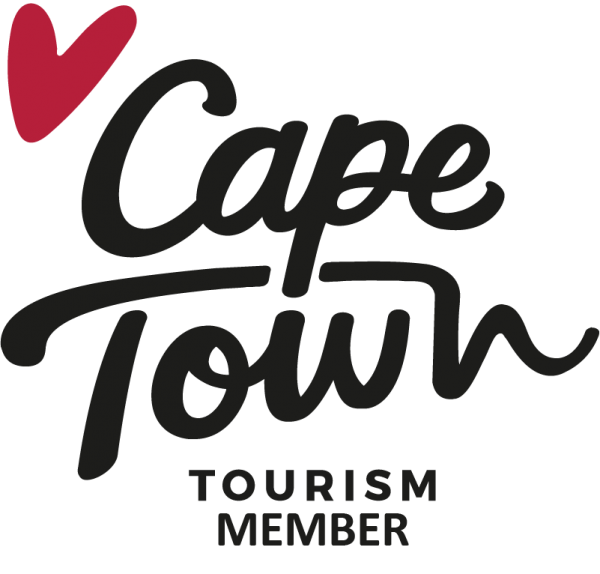 We offer a free hotel pickup and drop-off service if you are situated in the Cape Town City bowl area. Fill in our enquiry form and we will work out a custom quote for you. We take your safety seriously! 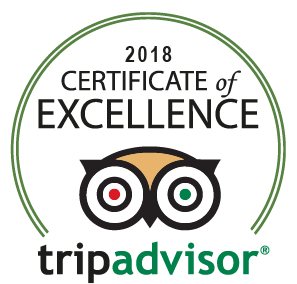 All of our guides are PADI certified divemasters, which means they have extensive experience in being in the ocean and looking after snorkelers and divers. They are also 1st Aid and CPR trained. We have a 1st Aid kit on board, as well as medical Oxygen unit. Imagine a dog; A very energetic, playful dog. Now, give that dog the ability to hold its breath and swim, the ability to be able to turn its neck around like a parrot. What you now have is a seal! 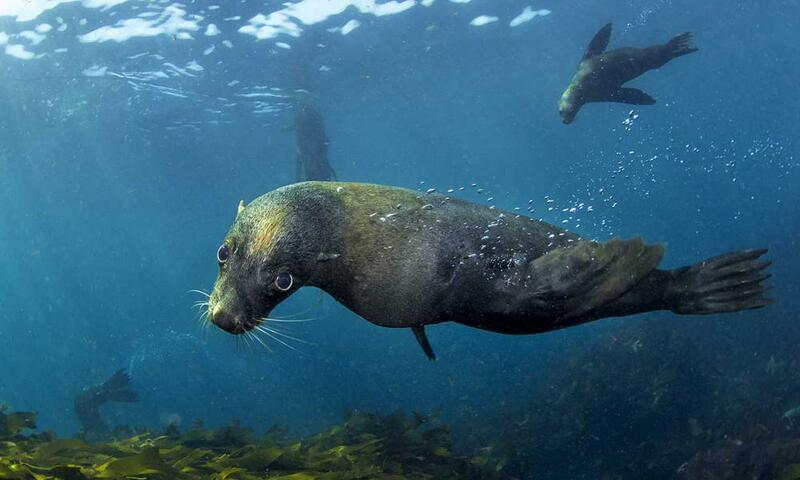 Seal snorkelling offers the chance to see something truly astonishing! At times, there can be hundreds of seals around you in the water, putting up a dazzling display of animal movement. There are a couple of colonies around Cape Town. We go where the ocean conditions are best on the day, and the seals -who are very curious- come out to play. 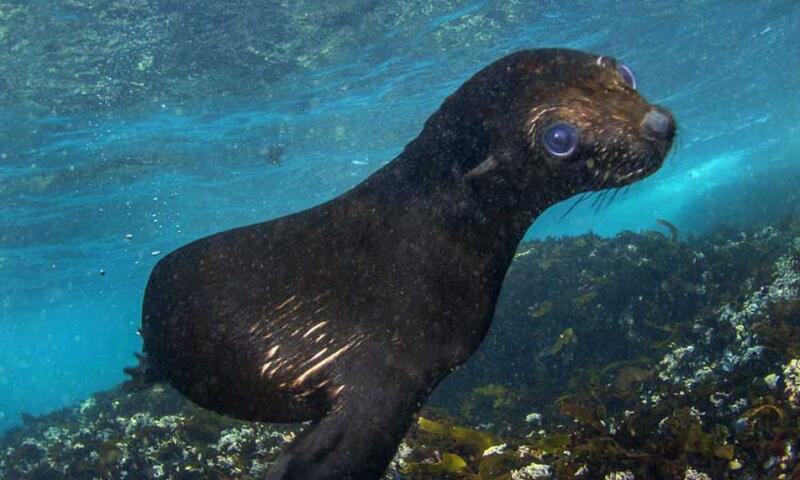 Seals come up to breath on the surface, which means there is a lot to see when you snorkel! The water is also not so deep here, so even when they dive down you can still see them under the water. Seals undergo an almost unbelievable transformation when they leave the land and go into the sea. They come with their big puppy eyes and look you straight in the face, blow bubbles, and sometimes even bark at you under the water! We’ve even had them play with a piece of kelp floating around, the same way a dog plays with a stick. 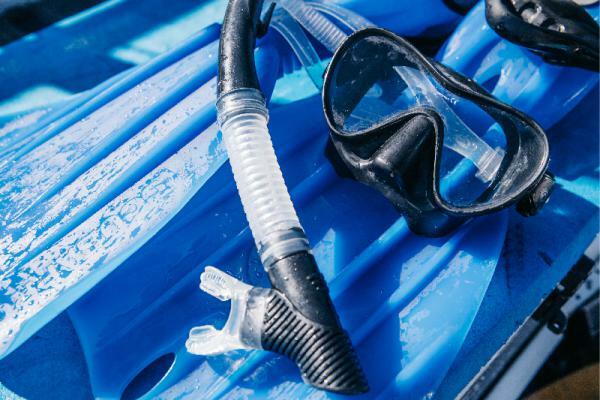 Seal snorkelling is one of those activities that surprisingly few people know about, but is one of the most thrilling experiences you can have! 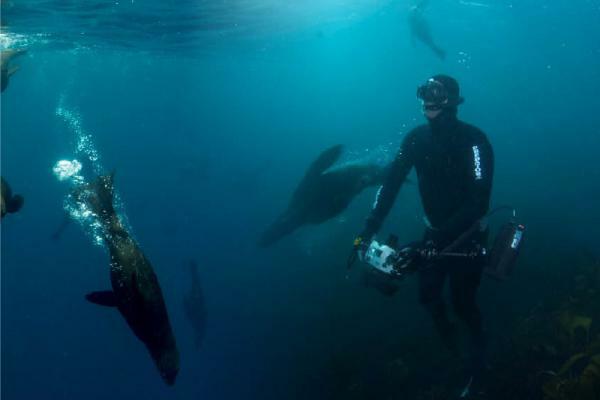 How does seal snorkelling work? Seal snorkelling happens from the boat. 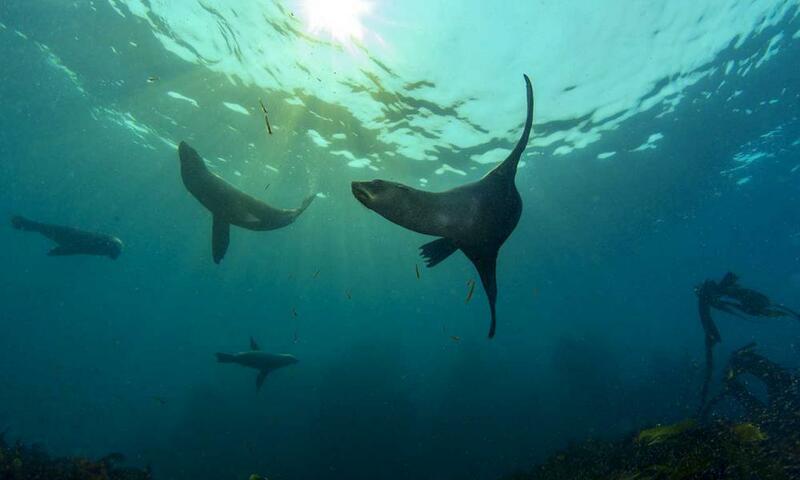 There are a couple of specific sites where we snorkel with the seals. Not all of the colonies are good for snorkeling, so we'll take you to the ones where the water is calmer, and where we normally see more seals. Our guides are equipped with a special floating snorkeling buoy, which warns boat traffic not to come to close to you whilst you're in the water. 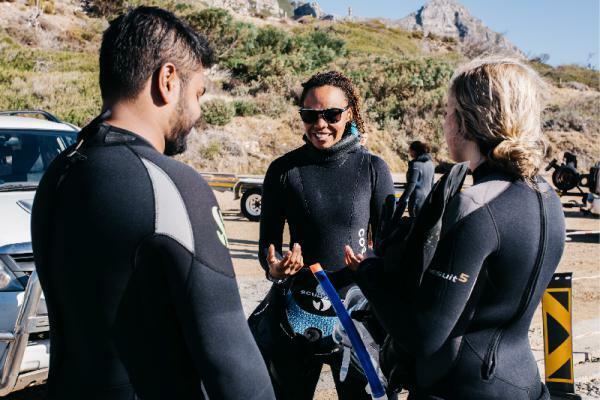 We start the day at Into the Blue’s shop in Sea Point, Cape Town, where we select wetsuits that fit you. From here, we go on a short ride to the launch site for the boat. Our seal snorkel sites are season specific, so chances are that in summer the road trip is shorter (about 20 mins), while in winter it’s a bit further (around 1 hour). After arrival at the snorkel site, your PADI certified divemaster will be doing a snorkel briefing with you. 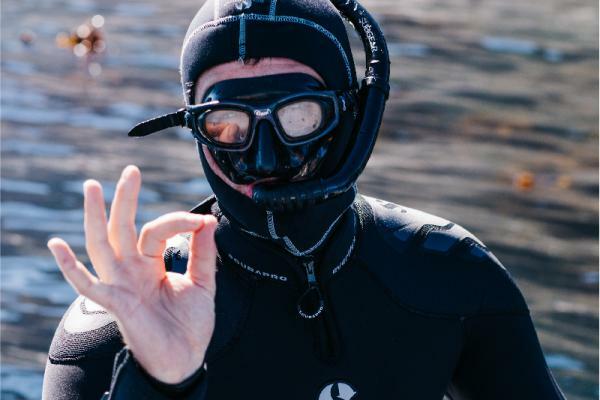 Here you will run over snorkel techniques (if you are unfamiliar with it), and also help you to get into your wetsuits. The boat ride - which is a thrill in itself - takes about 10 – 25 minutes, depending on our snorkel site of the day. 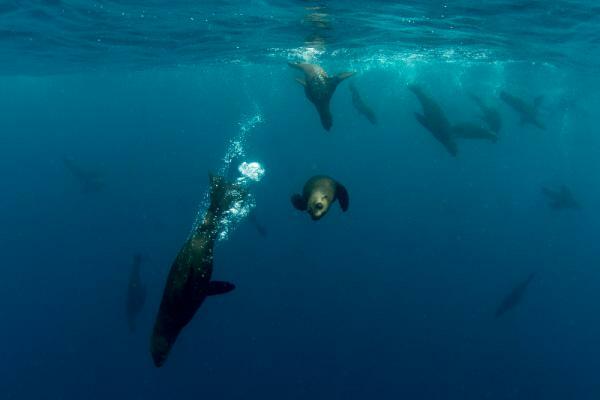 The seal snorkeling part of the excursion is approximately 1 hour, which allows you ample time to watch the seals at play! After getting out of the water, we take the boat back to the harbour. Here you change back into your normal clothes, and then we drop you off at your hotel. Seals mostly eat fish, squid, and crab, and can stay at sea for months while harvesting. They like to swim together in harvesting teams, and this also give them some safety. When breeding time comes, the seals are very territorial! Males will fight for a spot on their colonies, in which females can come and claim their own territories. Males are able to differentiate between a neighbouring male and a complete “stranger” male, in which case they are likely to be more aggressive to the stranger. It also seems that there are “Prime property” on the colonies – the stronger males will win these spots, and females also prefer these spots. Seals do not necessarily stay in their own colony – they can migrate between different colonies. 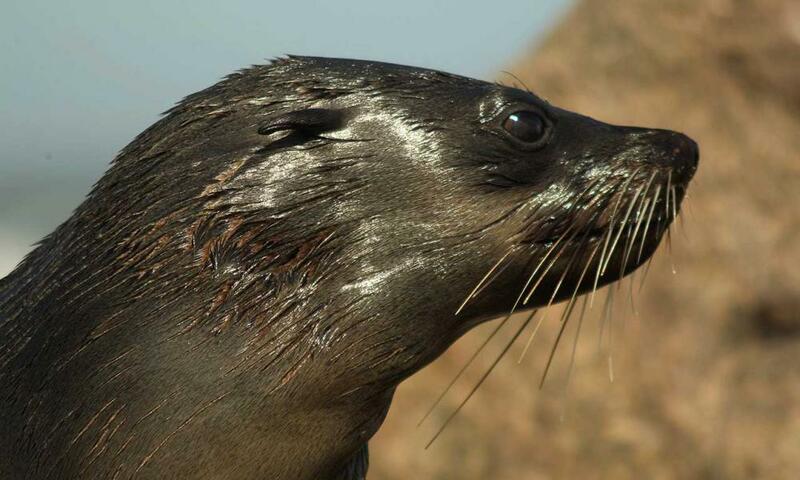 In the old days, the Cape Fur Seal used to be hunted for their fur, which was used for coats. Hunting seals was outlawed in South Africa in 1990, and South Africa now boasts a healthy and robust seal population. This practise still continues in Namibia.